As soon as Winter hits most people get excited about Christmas but very few people are overly thrilled about defrosting the car in the morning and regardless of layers still being cold. As you head into March and the chill begins to subside, a little, you would be forgiven for thinking it was only going to get better. This is where outdoor events can begin to thrive and we’ve got some great inflatable ideas to make your spring events even better. The rodeo bull is a staple for all events and over the years we have hired out our bull hundreds of times. Rodeo bulls are available throughout the UK and are always one of the first pieces of equipment we recommend for outdoor events. They generate a lot of interest and when someone is on it, everyone knows the outcome, but they still stand by and watch as they get flung around and drop off. If you’re looking to plan a more seasonal event, there are now themed rodeos you can look at. Some of the most popular ones are the pumpkin, giant football, sheep, Christmas pudding and more. You’ll have seen umpteen people on Facebook trying to sell their bouncy castles cheaper than the rest and you’ll be half tempted, but beware! Bouncy castles require a lot of upkeep and testing so be sure to ask for all the paperwork to ensure that what you hire is up to the right standards. Away from the paperwork side of things hiring a bouncy castle is a fantastic addition to any event. The range and creativity on the market nowadays are unreal and far surpasses the traditional yellow and red colourful square ones traditionally made. 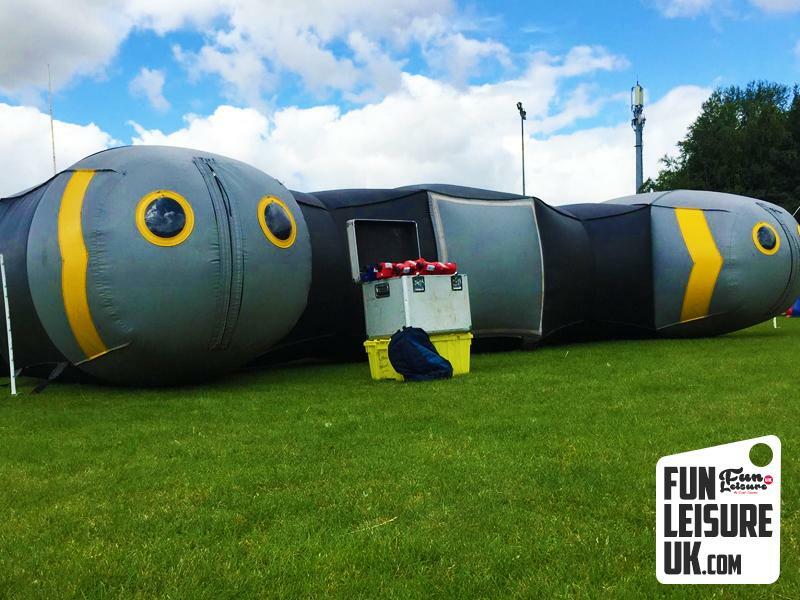 We’ve toured the UK for small and large clients who love the bouncy castles due to them having a decent capacity at any one time and the quality is mega important, especially when you want to make an impression. After overseeing the install of a permanent ball pool in a nightclub in Preston we know how popular these are in popular evening venues as well as the typical event. With over 10,000 balls in one pool, we find a huge demand for ball pit hire and the range of uses are amazing. We’ve hired out ball pools for competitions to pull out the most valuable prizes as well as a nostalgic centrepiece in bars and venues. Now, this is something very different and works perfectly indoor or outdoor, providing you have enough space! Laser tag hasn’t been as prominent since the days of Megabowl and Wimpy Burger teaming up but the thought of laser tag still excites everyone. The full set up is 1000 square feet and you can have two teams of up to five players. It’s a straightforward game with the aim being to shoot before being shot! There are different games within the laser arena so you can go solo or handicap as well as the team options. These are just four of our favourite suggestions and we’ve got hundreds more regardless of the event type, date, indoor or outdoor and budget.